We are dealing with Automatic Paper Cone Making Machine with Online Drier and our product is made up of good quality. 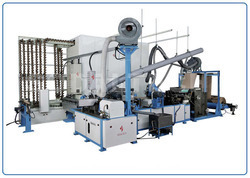 Unique Patented Gripper Winding system which ensures minimum process wastage with less power impact. Online Printer for precise single or multicolour Printing with great flexibility of standard designs as shown in the colour chart. Drier can be heated with multiple source of energy such as coal or firewood or gas or steam or electric or thermic heating with automatic energy saving device. We are offering a high quality Fully Automatic Cone Finishing Machine to our most reliable clients. These cone finishing machines are widely used in various industrial applications. The offered range of cone finishing machine is made from optimum quality material and manufactured under the supervision of an expert team of professionals to adhere to the international quality standards. 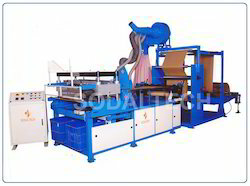 As a renowned organization, we are engaged in offering a wide range of Pattern Developing Machine in which the raw material in paper roll form is loaded in the reel stand & the web is fed between the feeding rollers and then passed through top and bottom printer. Then the patterns get grinding in one edge of the pattern. The offered pattern developing machine reel models are stringently tested on various quality parameters and are authenticated as per the international standards of quality. These pattern developing machine reel models are resistant to corrosion and ensure long service life. 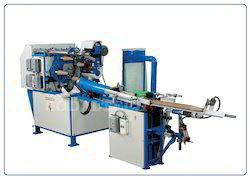 Our durable Paper Cone Finishing Machine performs multiple tasks such as base cutting, bottom grooving, bull nosing, velvet finishing, automatic counting and nesting attachment. 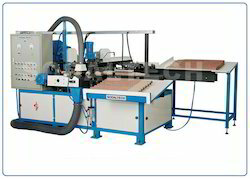 This is provided with different accessories such as standard size mandrel, Cutting & Base grooving device, Velvet Finisher, Nesting & counting device, standard electrical motors & control, Dust collection system and others. It sturdy welded structure is capable of handling heavy and variable workloads. Versatile to finish various cone tapers viz., 3°30', 4°20', 5°57' etc. Mechanism to disengage cutting knife when no cone is in mandrel to improve life of mandrel and knife. No air ejection when no cone is in mandrel to save compressed air. No velvet finishing when no cone is in mandrel thus increasing the life of emery belt. 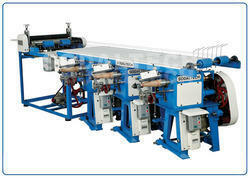 Looking for Paper Cone Making Machinery ?